Jan Svejnar's speech focused on the role of Central Europe in the global economy. 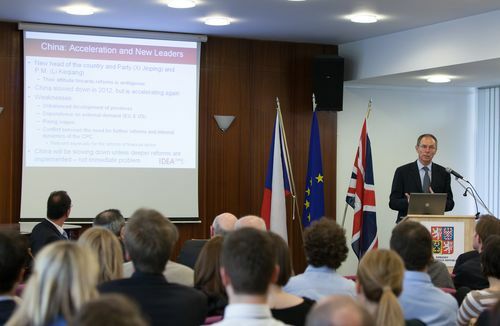 He also spoke about the current economic crisis, not only from the perspective of Czech Republic and other countries of Central Europe. According to Jan Svejnar, in the past Europe overcame a few major economic crises, it will eventually handle the current one as well. In connection with the Czech situation, professor Svejnar praised the sanity of the Czech banks. He believes that the Czech policymakers should invest more in science and education and promote further diversification of exports.